View More In Bulb Planters. 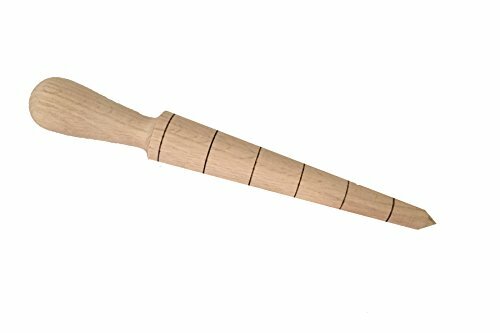 Our solid oak dibber makes for easy planting of seedlings and small bulbs. Graduated in inches to ensure planting at the correct depth. This tool creates the perfect hole for small bulbs, transplants and seedlings. Measures 9 3/4" long. Comfortable ball handle. A nice tool for safer gardening with little ones. Made in England from Sustainably sourced oak. English made Sustainably sourced oak Graduated in inches 9 3/4" long . If you have any questions about this product by Nether Wallop Trading, contact us by completing and submitting the form below. If you are looking for a specif part number, please include it with your message.